Israeli branch, in Be'er Sheva, established to support IDF and campaign to develop the Negev, CEO says. Lockheed Martin officially opened a branch in Be'er Sheva on Wednesday, in support of the IDF and the "Move South" campaign funded by the Israeli government. 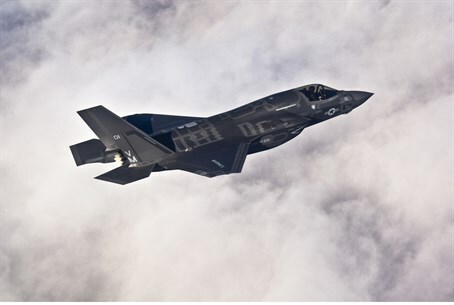 Former Israeli Air Force (IAF) Brigadier General Shelly Gotman will lead the office, and be the managing director for the company’s Information Systems & Global Solutions (IS&GS) business, which services the US government. It has been growing its international presence with major operations in the United Kingdom, Europe, and Australia. Current IS&GS customers include NATO; British air traffic management organization NATS; the Australian Tax office; and the United Kingdom Ministry of Justice. 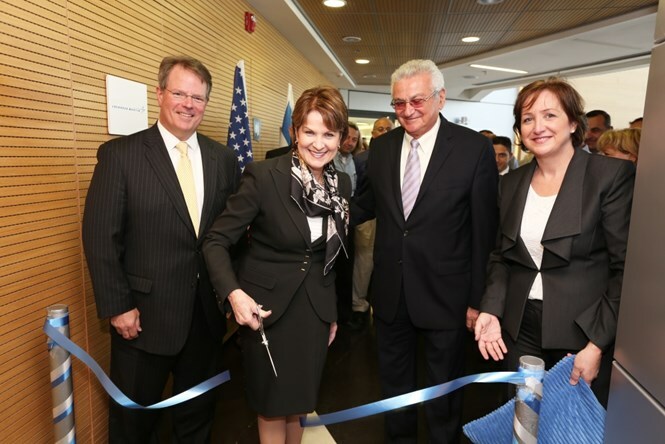 Lockheed Martin Chairman, President and CEO Marillyn Hewson opened the branch in a special ceremony on Wednesday, expressing support for the IDF. "The consolidation of IDF Technical Units to new bases in the Negev Desert region is an important transformation of Israel’s information technology capability," she stated. "We understand the challenges of this move - which is why we are investing in the facilities and people that will ensure we are prepared to support for these critical projects." "By locating our new office in the capital of the Negev, we are well positioned to work closely with our Israeli partners and stand ready to accelerate project execution, reduce program risk and share our technical expertise by training and developing in-country talent." Hewson compared Be'er Sheva to Silicon Valley, the teach seat of the US. "In the United States, Silicon Valley stands as our country’s 'center for information technology innovation," she said. " With the opening of this office and the strategic investments being made by the IDF it is clear that Be’er Sheva is on its way to becoming the Silicon Valley of Israel." "Prime Minister David Ben-Gurion understood the potential for this region when he called for pioneering settlement of the Negev Desert nearly 60 years ago," she continued. "The 'Move to the South' initiative is a significant step in fulfilling Ben-Gurion’s vision of 'making the desert bloom.' And we are proud to be a part of this national center of excellence for information technology in the south." The Israeli government has invested significantly in building up Be'er Sheva as a technological capital of Israel. Earlier this month, the Economics Ministry and several Ministers toured a new technology park near the city and declared high hopes for the region to attract international companies like Lockheed-Martin. "This park, as well as the entire Negev, is one of the greatest opportunities we have in the Middle East today," Economics Minister Naftali Bennett stated at the time. "I'm not a big believer in government interventions, but in this context, such interference is of great importance, in order to create the ecosystem required to attract multinational companies to the region." Deputy Education Minister Avi Wortzman (Jewish Home/Bayit Yehudi) agreed. "It is important for us to develop Be'er Sheva as the capital of the opportunities of the State of Israel," he continued. "I call on all relevant parties to try and examine what we can do to promote the development of the city." The Negev region in southern Israel makes up 60% of the country's landmass but contains only around 8% of its population. Recent Israeli governments have focused on developing the Negev's vast desert expanses as a way of alleviating skyrocketing housing prices and strengthening the strategically-important region which borders Egypt and Jordan.